CARDINALS ARE FLYING! ROBINS ARE FLYING! AND SANDY IS FLYING! 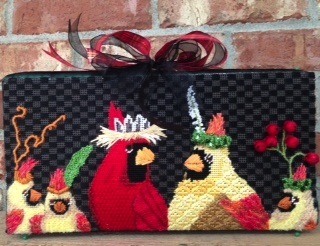 Dropped off the model this past week for the upcoming class at STITCH - Melissa Shirley's Cardinal Family. I had it finished as a stand up so I could place it on my mantel. Interest is growing and registration is going on right now. I think Lane said that cut-off might be late August or so - don't quote me on that! Ask her. I had a million things going on when I was talking with her and people kept coming in. How dare they? Especially during business hours no less. To sign up for the class, contact Lane. Remember - GHOSTS are WELCOME! I have been stitching away on the Robin's Wreath Online Mystery Class trying to get a good guess on the amount of thread to list in the stitch guide. I am really enjoying stitching on this guy. And, it is really a big challenge to find some of these colors - or at least close to the colors! This one is next up and will have the first lesson posted on September 15 but I want to get the thread list to you in August. TO REGISTER: Just email me at duodesignsinc@yahoo.com and I'll add you to the list. Get your canvas from your LNS. If not available check with me as there may be some shops that have advised me that they have one in stock. 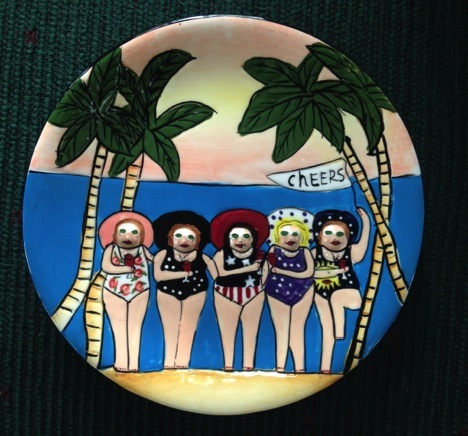 Still getting registrations for the Arctic Parade by Brenda Stofft. Since this is a 2-year class there is plenty of time to participate. And in closing, I am excited to share a new blog with you. www.needlesnfins.blogspot.com This blog will provide information for upcoming stitching cruises and tours sponsored by Duo Designs, Inc. Be sure to go subscribe so you can keep up with what is going on. There is also a secret FB page for those of serious interest and persons in that group will be advised first about the dates, etc., for the upcoming Po River Cruise. Space is very limited so be sure to stay alert if interested. This time next week I will happily be playing at ANG Winston-Salem teaching the techniques on my Pumpkin Spiced Tea. I am so looking forward to that outing. Enjoy the weekend and remember to stitch with a smile! GOLLY! THE TIME SURE IS FLYING BY ISN'T IT? Got home after a wonderful week teaching at Designers Desk in Chicago. We had such fun and it will be sad to see the shop go. Hopefully it will be purchased by someone who would like to continue the business so that we can all continue to play in this wonderful setting. Had a surprise while there. A lovely friend, Kathy Matthews from ANG Seminar Board days, dropped by and brought me a fantastic gift. 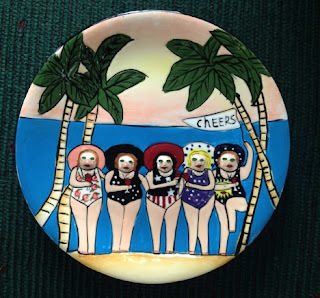 Those who have known me for several years will recognize this cute plate as indicative of my To The Beach and Back To The Beach ladies. LOL - and it even has five ladies as well. Thank you so much Kathy for thinking of me. Everyone is busily working on their various levels in our Online Mystery Classes. These are such great fun and I hope the participants have half the fun I do! If participation is any indication, I think they do! Robin's Wreath and Santa's Reward are both being registered as we speak. Come on and join us. Scroll down to read more details if interested. Just got the wonderful Gingerbread House from Rebecca Wood that was requested by the masses so I'm thinking of things for it. To Register: Send email to duodesignsinc@yahoo.com. I am so excited that I get to spend a full week at home before traveling again. However I am also looking forward to playing with the ANG Winston-Salem Chapter as we stitch the Pumpkin Spiced Tea design. All the kits have been mailed and everyone is gathering there supplies to prepare for days of fun! Also shipped out have been all the kits for the three different classes I am teaching at the ANG Seminar in New Orleans. Final preparations are in progress to make sure everything is in order and ready to go. Meanwhile, finishing up the Cardinal Family from Melissa Shirley Designs to teach at STITCH outside Louisville, KY. If you cannot join us face-to-face, she is accepting ghosts. This has been fun! 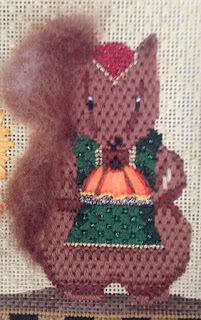 Lots going on - beads, boucle`, silk, fuzzies, combination stitches, weaving, ribbon, Silk Straw, cotton - okay, that's enough. Contact Lane at STITCH if you'd care to join us! 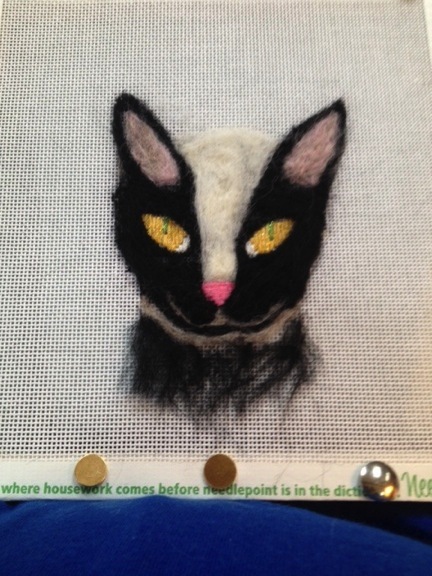 In the meanwhile - Stitch with a Smile and sign up for some of these wonderful upcoming classes! LOOKING FOR SOMETHING TO DO? EXCITING CLASSES TO ATTEND? If you have never attended the wonderful retreat that is hosted by Blue Bonnet Studios you have no idea what you are missing! This is a much smaller and more intimate venue than the larger Seminars that are hosted by the larger organizations. This smaller venue allows the opportunity to get to know your instructor and classmates much better than a larger venue might. This year it is being held at a new location so I cannot personally speak to the anemities there. (Horseshoe Bay Resort at Horseshoe Bay, TX) However, I can say that if it is anything like in previous years then it is well worth the time and travel. A very pleasant environment is created surrounded by people who share the same passion as we all do. There are several types of classes available - studio times and projects. Here are two of the 2-day classes that I am teaching. Both designs are by JP Needlepoint. Juli does such beautiful designs! Saturday and Sunday we feature The Black Queen! Her Majesty – The Black Queen - portrays ‘regalness’ for all to behold. Beautiful bling of Swarovski crystals and pearls from the collection, metallic threads of Kreinik and Rainbow Gallery, and luscious silks add to her glamour. 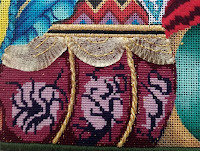 Techniques and stitches to entice all levels of stitchers are illustrated : beading, ruching, split stitch, darning, and blending to mention a few! 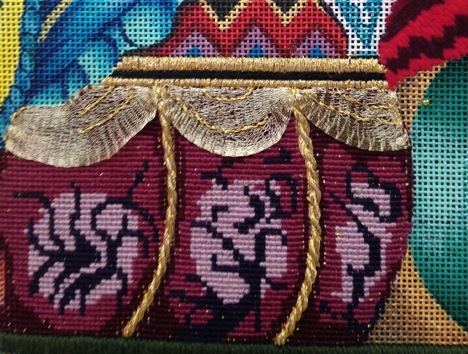 Scrumptious threads include Pepper Pot Silk, Floche, Kreinik Metallics, Rainbow Gallery, and Burmilana to name a few. Painted design is 9” x 12”on 18ct cut canvas with a cut canvas of 13” x 16” for stretcher bars. Then we have BlackBeak Hooter. He is Monday and Tuesday. 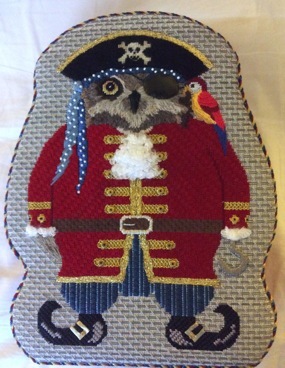 Captain Blackbeak Hooter is a fun design hand painted on 18 ct monocanvas. The design size is 9” x 12” on cut canvas of 14” x 16”. Many techniques are explored on this journey: ruching, padding, tacking, layering, appliqueing, and much more. 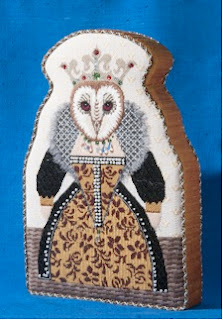 Embellish with specialty threads, beads and other findings. Thread suggestions abound: Neon Rays, Burmilana, Flair, Silks, metallic, cotton, and many more. There are detailed diagrams, illustrations and pictures to complement the directions demonstrated in class. CHICAGO, CHICAGO, THAT TODDLING TOWN . . . .
Well, I flew over it? Little hectic as the France incident occurred while we were in the air and the airport was abuzz with lots of security and outside traffic and police cruisers were ridiculous. Anyway I am in Historic Geneva, IL playing with a great group of stitchers, many of whom were brave enough to return and put up with me a few more days. Designers Desk with Pat Delp, her fantastic staff and her wonderful customers are always a joy to be around. We are spending the first four days embellishing all sorts of canvases from a plethora of designers. Certainly not boring. We're doing a little bit of everything, beads, ribbon, ruching, faux this-and-that, to accomplish just the look the canvas owner is hoping for. This group always picks the most colorful and happy canvases which makes me very happy. We get to choose lovely, bright threads to play with! YAY me! The fifth day we will be doing a command performance class called 'Sharing Sandy's Secrets'. I sure hope they meant stitching secrets because they certainly don't want to know any others! Heaven only knows that is going to come out of that class. It will be a potpourri of stuff - beads, ribbon, sequins, fluff, memory thread, bling, bead, ribbon, - did I mention beads and ribbon - who knows? 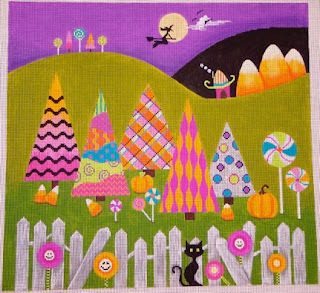 Oh and she has some lovely canvases by Dora at closeout prices that once they are gone they are gone. Check them out on her website. When we sign off here, we get to go home for a week and then prepare for a much anticipated week of playing with a group of gals in the ANG Winston-Salem Chapter. They have a large participation reserved and they will keep me hopping! I know we are going to have a great time. A few of them came up to me and introduced themselves at the EGA TVA Regional Seminar where I was teaching a few weeks ago. We are going to work on the popular Pumpkin Spiced Tea. This is a great class for chapters and shops to host. Fits perfectly into a 2-day venue. Yesterday we launched the lessons for three of our Online Mystery Classes. 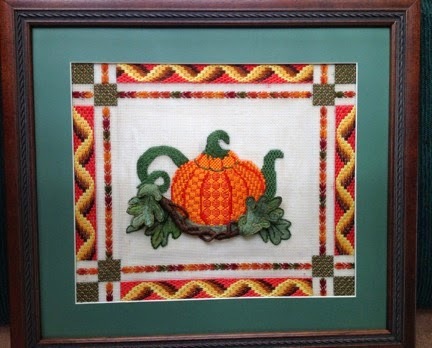 Lesson 5 for Thanksgiving Critters - Melissa Shirley Designs - hit the Internet. Mr. Squirrel joined his buddies. He was so much fun. 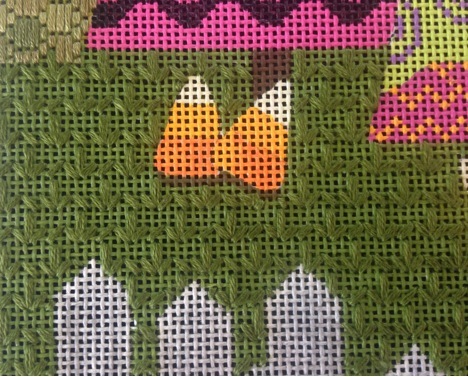 Still need to add the beaded fringe to his apron. Unfortunately, that only leaves one and our adventure on this canvas will be history. We did a pillow and added the chest with lots of interesting stuff to do. And as a third activity we began with Lesson 1 for Happy Haunting Grounds - Eye Candy. For this lesson we did lots of background to get us in position for the fun ahead. As previously stated, we are actively registering participants in the next class of Melissa Prince's Robin's Wreath. Wow! Lots and lots to share on this beautiful piece. The design area is like 14" x 14". Lots of wonderful autumn and fall type colors and icons. Look at all those leaves and berries. The sliced fruit is very tempting. There is always fun involved when creating a nest. And, of course, the beautiful robin. 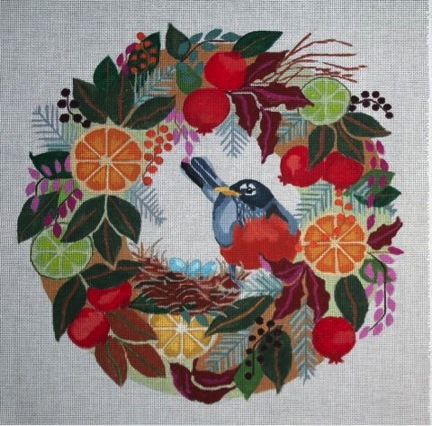 Many techniques shared in this class can be incorporated into several of Melissa's other wreath/bird designs. Look them over and maybe you'd like to join us. While I'm stitching on this guy I'm having difficulty sticking with what I am doing because my eyes jump and I want to hurriedly get over to see what something else is going to look like! So, so much. TO REGISTER: Simply send email to me at duodesignsinc@yahoo.com and tell me you wish to join us. We have a nice sized class raring (or is it rearing) to go! Anyway they are anxious! And then last for 2016 is the melancholy design of Devon Needlepoint - Santa's Rewards. TO REGISTER: Simply send email to me at duodesignsinc@yahoo.com and tell me you wish to join us. 2017 has a fantastic lineup of great classes awaiting us after we finish up this group. It is unbelievable how quickly we are going through these fun and beautiful designs. I have been blessed with such great participants - they are gracious, sharing and willing to push the envelope. I love every minute of it. So, make sure you get your name on the list, get your canvas(es) ordered and come join in the fun. You have no idea what you are missing! 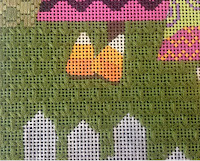 Till next week remember to Stitch with a Smile! 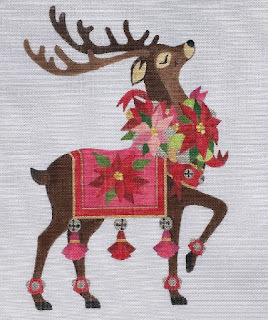 I was just confirmed as one of only 6 participants in the Royal School of Needlepoint intensive diploma classes to be held here in the US in Virginia! I have been trying to get in for over 3 years so I cannot express my delight. My technique will be stump work. I have been told to be prepared to give up blood, sweat, tears and a lot of taking out the next morning. So, we'll see where this leads! It has been described as 'boot camp'. The lady on the phone warned me -first she said she was not trying to scare me off or intimidate me - but though I might be an excellent needleworker, (which I did not say - she's just generalizing) I had to be prepared to the fact that no matter what, it had to be done their way - otherwise it will be undoing what I had done. So note to myself: I must prepare my mind to be very attentive and do as they say and not as I think. Those who know me know that will be a difficult task! I'm always thinking 3 steps ahead of where I am and I might miss a step or two along the way. Oh, and it was shared with me that my tutor was privileged to have worked on the Duchess of Cambridge (Kate)'s wedding gown! I am hopeful she will share some photos and insights with us. Isn't that exciting? Well for a gal from back in a very rural and poverty ridden 'holler' in West Virginia, that is unimaginable! I am so blessed and I never forget it! 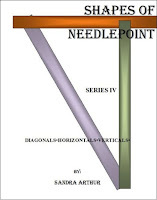 For those of you who are new to my Blog or website, I have four books published about needlepoint. They are known as Shapes of Needlepoint - Series I, II, III and IV. Each Series covers a group of shapes. The theory is that you are working on an area and it is round and is 5 x 5 canvas threads and you want some ideas of what to stitch in that space. There are some suggestions for various sized areas (not all areas of the world are covered but some of the more popular sizes might be found). Guess who is at the printers being restocked? Oh and if you don't recall his binding is orange! These books are available through your local needlepoint shop. If they do not carry them, they are also available on our website duodesignsinc.com. 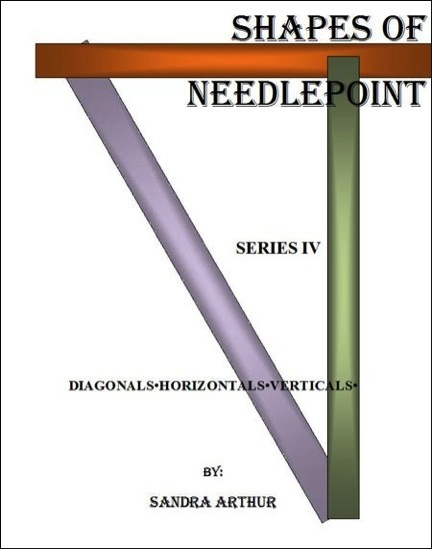 There is a direct link to each of the Series on our website - duodesignsinc.com - but I have provided the direct link to Series IV which highlights a special when purchasing all 4 volumes at once. 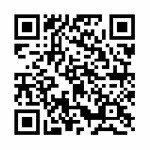 A few weeks ago I posted direct links to our Apps for Series I and II so if that is of interest to you scroll on down and you find them for your convenience. I can't ever seem to find where Apple put them so we just provided a link on the website. I am packed and ready to head to Chicago to play at Designers Desk for 5 fun-filled days. If you are in the area please drop by and visit. We'd love to see you. Okay, off to work on classes that will be posted in just 6 more days! Those will be Lesson 5 in the Thanksgiving Critters (whoever will it be? 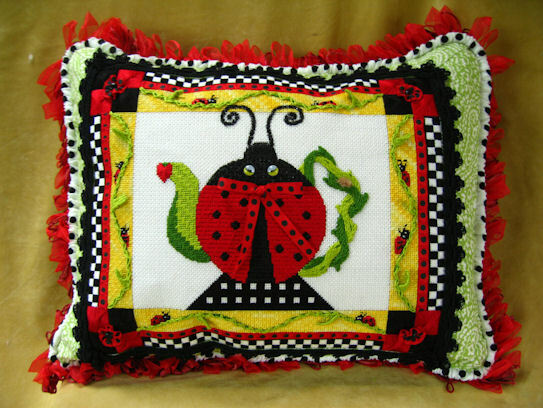 ), Lesson 2 in the Pillow Collage (which pretty pillows this time) and the much anticipated Lesson 1 of the Happy Haunting Grounds - pretty good guess on that one I bet. 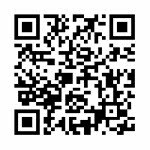 Registration is active for this fantastic project. As always, a little bit of everything on this guy, beads, embellishments out the wazoo, all those leaves (for a special class participant because she loves leaves), fruits, cute nest, wonderful eggs, fantastic bird, did I mention leaves? Oh and the lovely, lovely, lovely threads! One of my weaknesses! Invoices will be processed for this class around the first of August. They will be for $150 for the 6-lesson packet. The first lesson is scheduled to be posted on/about September 15. So, come on over and sign up. To register just send me an email at duodesignsinc@yahoo.com and say you want in. You will be added to the notification list where you will receive an email around the first of August alerting you to the fact that invoices are being processed. We'd love to have you. Only one more class for 2016 (unbelievable!) 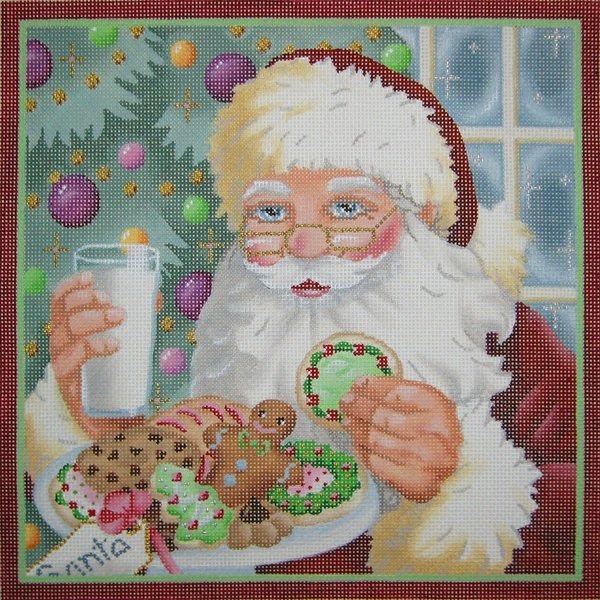 and that is the Santa's Reward from Devon Needlepoint. His first lesson will be on/about November 15. Registration is open for this guy too! Just let me know. And as stated earlier, we are working on a stitching cruise so be sure to have me add you to the interest list on that one so I can keep you informed of the progress. We are welcoming 'wish lists' where to go, etc. 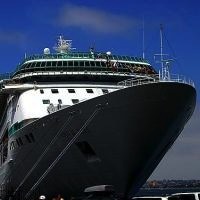 short cruise, long cruise, etc. and comments, suggestions, whatever. SO MANY PROJECTS - so little time! Isn't that the way it always seems? Fortunately, I have the personality that allows me to enjoy that journey and not worry about what is in the 'stash'. I just love what I'm doing at the moment and relish in the knowledge that when that is done I have a treasure trove of more just like it awaiting my attention! 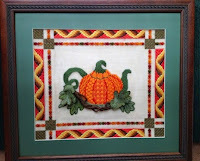 I just returned home from teaching in Huntsville, AL at the EGA TVA Share-a-Stitch. What a delightful event! We were commenting on our way home that there was something different about this time. It was almost like a 'girlfriend' reunion. It seemed that everyone was having a fantastic time. We had great accommodations and the hosts were right on top of any potential issue. The committees were fantastic and everything seemed to run like a well-oiled machine - at least that's the way it was with my class! Speaking of my class! What a wonderful group of ladies. We did the Pumpkin Spiced Tea. We managed to get everything covered. We did stump work, needlepoint stitches and needle felting. We even got through needle felting without any personal injuries (or at least if there were some they withheld them from me), and we only had a couple of broken needles! Job well done ladies! And I must say this group of ladies seemed to make it their mission to make me feel good! They were so extra nice and, even though tired at the end of the day, I could have visited and stitched with them for hours longer - provided, of course, that I was allowed to stitch! 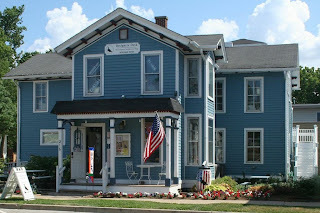 Next on the agenda is five fun-filled days at Designers Desk in Historic Geneva, IL! Although the shop is for sale and on the market, we are not going to let that slow us down! We are going to start the week with what Pat has named 'Sharing Sandy's Secrets'. In the workshop we are going to play with beads, ribbon, unusual threads, and just about anything else we might find! The remaining 4 days will be embellishing classes. There will be some canvases returning to get even more goodies added from the time before. While waiting for the time to leave for IL, I am busily preparing kits for the class in Winston-Salem, NC for the ANG Chapter on Pumpkin Spiced Tea. I believe they accept ghosts so you might want to check that out. Large group. Gonna be lots of fun! Additionally, kit materials are being sorted and prepared for the three classes being taught at the ANG national Seminar in New Orleans in late August. We are teaching mainly technique classes at this venue. 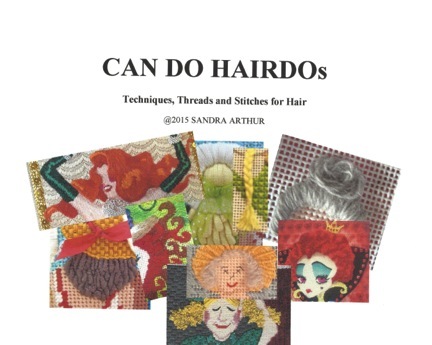 First up is a class called Can Do Hairdos. 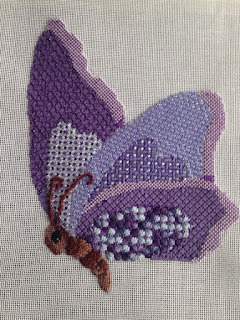 After that we will play with needle felting and last, but not least, is a project class entitled Papillion which will focus on different beading applications to execute on needlework. Papillion is offered in 3 color ways in this venue. Any and all of these classes are great programs for your Chapter or shop. Now, to keep from getting bored, we continue to work on our lessons for our Online Mystery Classes. Students have been so generous to share pictures of their completed projects as we go along. That makes me so proud! Have you seen all the Bunny Rabbits and Cats showing up on the screen in different Facebook Groups? Aren't they wonderful? One comment we made along the way was that for some reason it seems we are able to complete these projects where some others may end up in the 'stash' pile a little longer. I am so fortunate to have such great participants. In a couple weeks we'll be sharing another lesson in the Thanksgiving Critters Class - the 5th one no less! ; the 2nd lesson for the Pillow Collage, and the anticipated 1st lesson for Happy Haunting Grounds! We might even sneak in another lesson for the Arctic Parade! Canvases have been shipped so students can get those needles flying on this ginormous project!.Maybe we'll share a peek after the lessons have been posted! 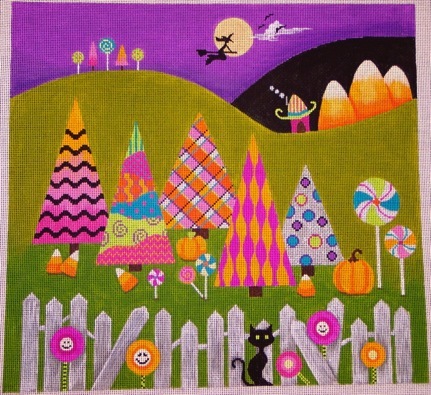 You can still register for this class and there are shops that have the canvas in stock! So a lot can be accomplished in the 2-weeks before the first lesson will be posted. Just email me at duodesignsinc@yahoo.com. Registration is really buzzing here for all the exciting new pieces being added to the agenda too. Wow! 2017-2018 even! Soon to be posted will be Robin's Wreath by Melissa Prince which is scheduled to have the first lesson posted mid-September! A nice group is already registered and more are joining as we speak! Then, following him will be Santa's Reward from Devon Nicholson! That will round out the year 2016! Can you believe it? Have you had a glimpse of what is awaiting us for 2017? Oh my gosh! Well, maybe we'll talk more about that next week. And there are hints of a possible cruise out there! Let me know if there is interest. In the meanwhile, there is still plenty of time to sign up for the above classes so if you want on board be sure to send me an email to duodesignsinc@yahoo.com and we'll put you on the notification lists. Notifications go out a little more than a month prior to the first lesson posting advising that invoices have been processed. No payment is due until just before the actual first lesson. Always get those canvases ordered from your local needlepoint shop as quickly as you can however! 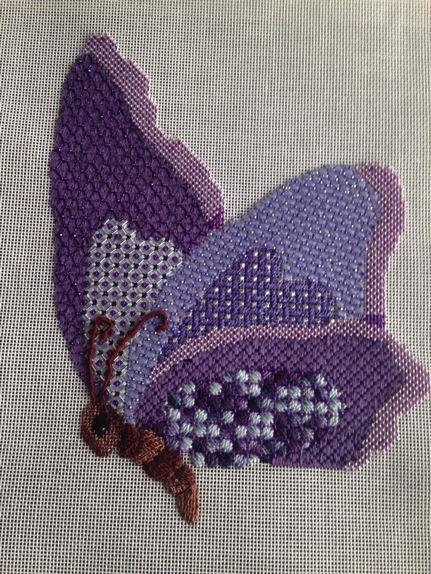 Gotta get back to the needle - for some reason I have not learned how to type and stitch at the same time! Have a great week, a safe 4th of July, and remember to stitch with a smile!